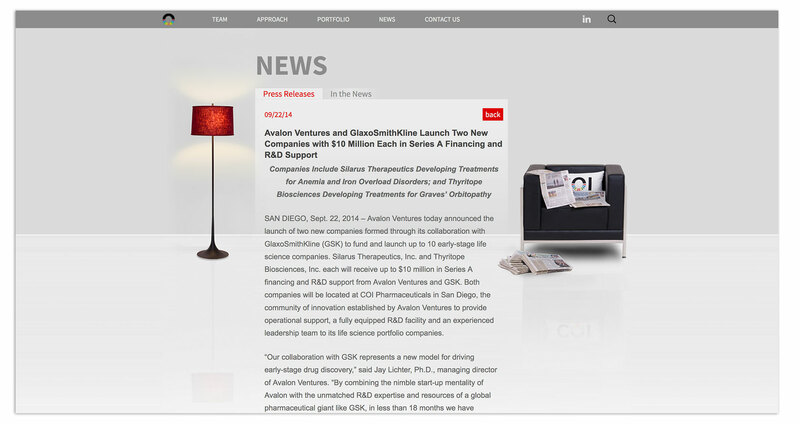 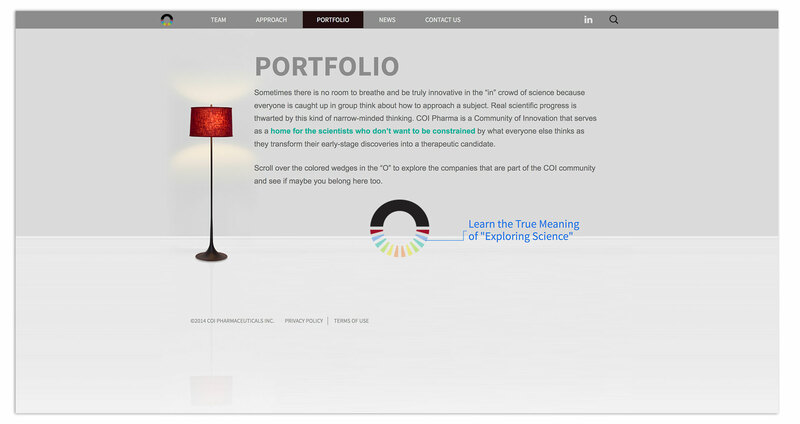 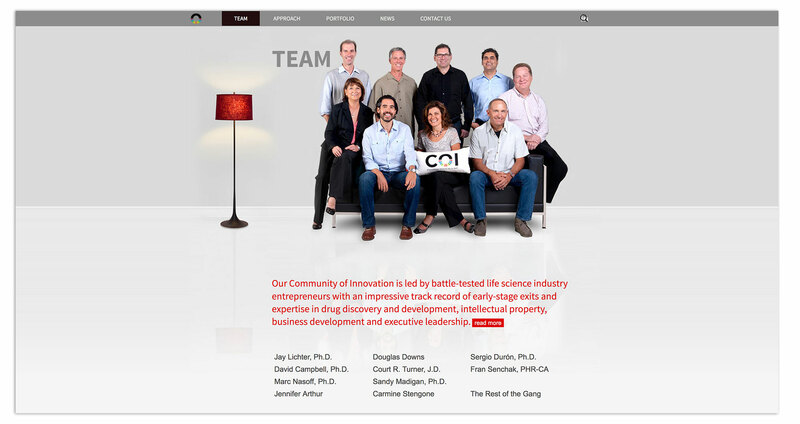 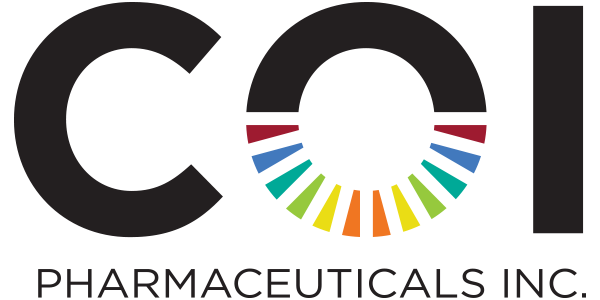 COI Pharma provides Avalon Ventures’ portfolio companies intellectual, R&D infrastructure and operational support translating new scientific breakthroughs into novel therapeutics. 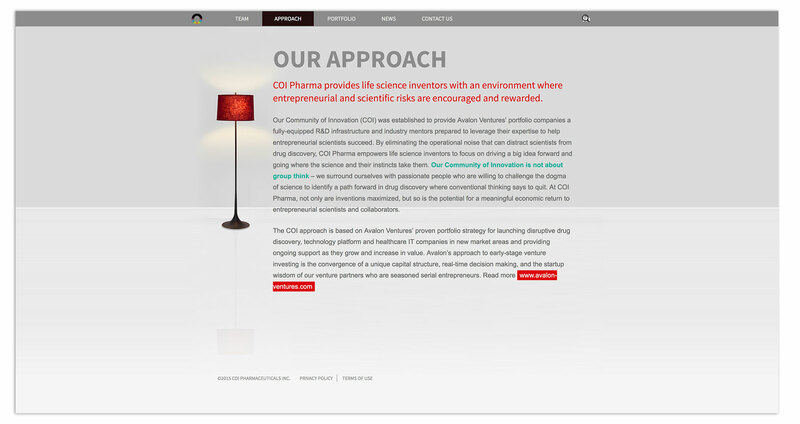 AldenMC was contracted to design their corporate identity and web site. 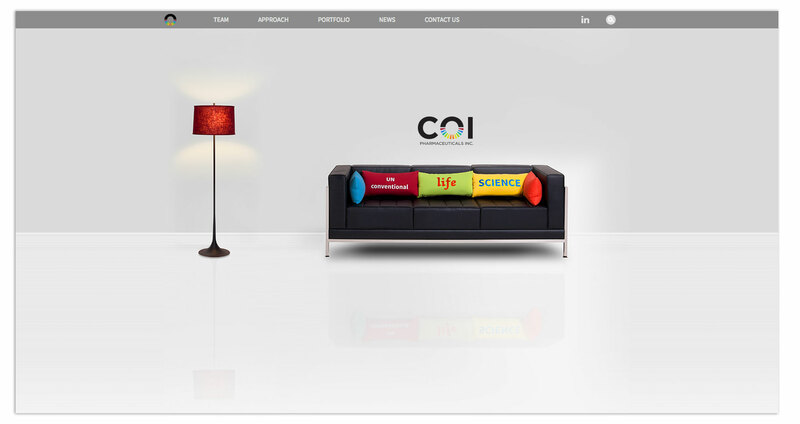 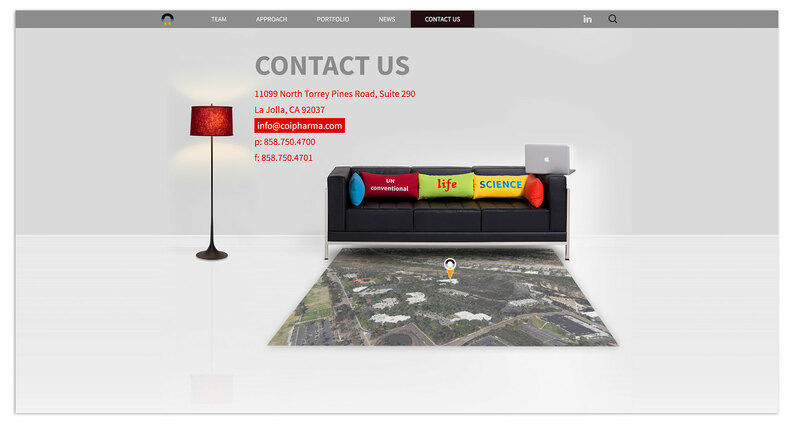 Their unconventional business model inspired the design process and yes, the sofa you see is in their lobby!